Moon Rocks – What Are They & How To Make Them. Moon Rocks are well known as giving one of the most powerful highs you can achieve — beyond smoking, edibles, or even oil. You may have heard of them, or if you’re lucky enough, even tried them. But they are rare and something to get excited about. So, let’s find out what exactly they are and how to make them. Moon Rocks are likely the insane invention of the American rapper Kurupt. Though they may have existed before, he is often credited with creating them for the first time. But now that the secret is out, there are many options on the market, including DIY solutions. 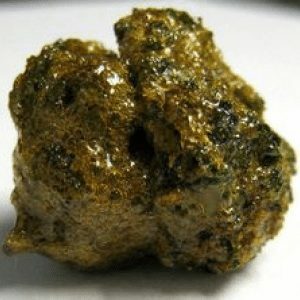 The rocks themselves are incredibly potent nugs of marijuana created by combining 3 different forms of marijuana; flower, oil, and kief. Flower is pretty obvious: just normal buds of weed. The oil is a fairly common and very potent weed concentrate that can be found at most dispensaries. The kief is actually the crystalized trichomes that speckle most high-quality marijuanas. These trichomes are incredibly potent and make for great smoking under any circumstances. Kief usually falls off of the bud during the grinding process, which is why most grinders have a screen called a Kief Catcher that will allow you to build up a nice supply of the stuff. You can usually distinguish true and pure Moon Rocks from their knockoff counterparts by how thick the layer of kief is caked on to them. When these ingredients are combined, they make for an absurdly potent and strong weed high that can’t be replicated by smoking alone. The process involves soaking the flowers in oil and then rolling them in the kief to form thick, dense rocks. We’ll cover it more later on. The potency of Moon Rocks comes from the fact that they boast a THC content starting around 50%, and only getting higher depending on which strains and oils are used in their creation. Remember, even good weed generally has a THC content of about 15-25%, which means that these delicacies contain double the ingredient responsible for the psychoactive qualities of pot. Depending on the strain, Moon Rocks can also contain high levels of CBD, which is responsible for more of the bodily effects associated with marijuana. Where Can I Get Moon Rocks? Moon Rocks are relatively rare on the market for sale. Luckily, they are actually quite easy to make provided that you know how. To that end, here’s our excellent, time-tested Moon Rock recipe. A small dropper or brush. 1. Break off a solid size nug. It’s up to you how big, so use your best judgement. We recommend choosing the most dense one you have because it makes the process a lot easier. 3. Now take your tweezers and carefully pick up the nug. Roll it around in your kief until it is fully and thickly coated in the trichomes. Make sure it is fully covered and evenly coated. 4. Now, set the bud aside to dry for a few hours. Repeat as many times as you like. Once its well-dried, you will be ready to smoke. 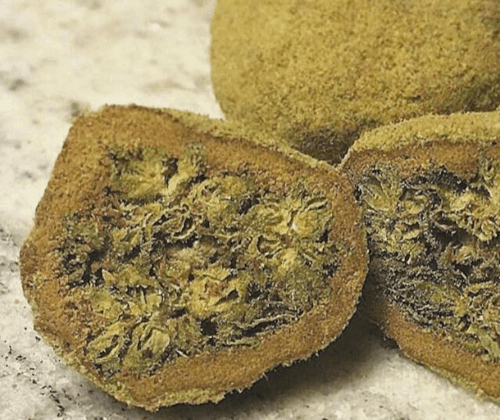 -The kief will obviously be the hardest ingredient to obtain, so make sure to save your kief as you smoke so you can build it up for moon rocks. -You’ll also want to think about what strain you’re using for your moon rocks, as it will effect the type of high you have. We recommend C4, and Strawberry Ice strains. You can browse The Pot Vault for all available strains to choose the best one for you. Now that the work is done, let’s take a trip to outer space to find out how to enjoy the fruits of your labor. How Do You Smoke Moon Rocks? As complicated as they are to make, Moon Rocks are actually very simple to smoke. You can basically smoke them the same way you do normal weed. But just a warning, watch out for this high. Just because they smoke the same does not mean they have the same effects. These rocks pack a serious punch. Don’t get caught off guard. We recommend smoking them in the safety of your own home. The most important thing to know when smoking moon rocks is to be careful with them. You don’t want to waste any part of your incredible creation. So, don’t use a normal grinder when breaking them up. Instead, use a sharp knife, and cut smoothly to avoid losing any of the precious kief. We also recommend smoking them out of clean glass, and using a wick instead of a lighter. This will allow you to get the full experience of the taste and feel of smoking a Moon Rock. It will also allow for the most pure high you can get from them. Other options for consuming including rolling up a moon blunt, baking space brownies, or even trying out more interesting culinary creations. Really, this part is up to you. Use your imagination and let the energy of the moon flow through you. The bottom line: there is no more potent or incredible high on the market. Moon Rocks are responsible for the purest and most electric experience out there. And with our guide, hopefully you’re ready to become a Moon Rockstar. Good luck and stay spacey!